PerfectCue There are 18 products. 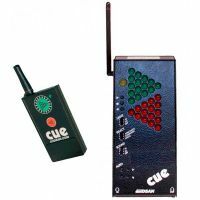 PerfectCue is a light and sound signaling system designed for professional conference presentations - solid, reliable, flexible and with a 100 metre range. 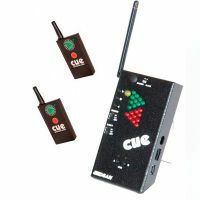 PerfectCue can also be used as a wireless remote clicker which allows the presenter to directly control presentation software with “next”, “back” and “blank” commands. Synchronize playback of 2 systems automatically - PerfectCue can be extended to control even more computers if required. Works immediately with Powerpoint, Keynote and Prezi. The commands are also programmable to control other software. A wireless receiver with LED and audio signals & USB connections for automatic control of connected computer software. A wireless remote control transmitter, with a range of over 100m, to interact with the receiver. Different models of handheld remotes are available with 1- 4 buttons and an integrated laser pointer. The PerfectCue family includes three ranges - PerfectCue BP, PerfectCue Mini & PerfectCue Micro - as well as a choice of remote controls and accessories. The PerfectCue BP range offers the most complete set of functions and cabling options. 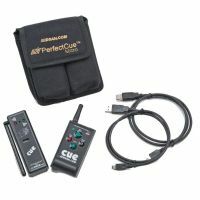 The PerfectCue MINI range offers the most common functions in a compact package. N.B. As of June 2015, the red laser pointers will no longer be manufactured. The red-laser remote controls will be still be available for purchase until our stock is exhausted. After the end of 2015, red-laser products will no longer be available. Accessories and spares for the PerfectCue system. 1 428,00 €	inc. VAT. 1 190,00 € ex. VAT. PerfectCue BP with 1 wireless remote control. 1 428,00 € inc. VAT. 1 656,00 €	inc. VAT. 1 380,00 € ex. VAT. 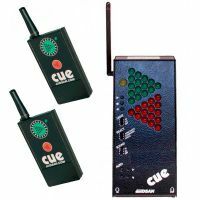 PerfectCue BP with 2 wireless remote controls. 1 656,00 € inc. VAT. 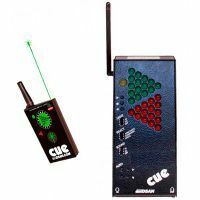 PerfectCue BP and 1 wireless remote control with green laser pointer. 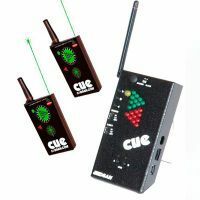 PerfectCue BP Kit including 2 wireless remote controls with green laser pointer. 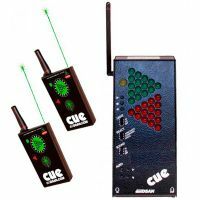 PerfectCue MINI with 1 wireless remote control. 1 296,00 €	inc. VAT. 1 080,00 € ex. VAT. 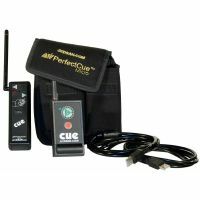 PerfectCue MINI with 2 wireless remote controls. 1 296,00 € inc. VAT. 4-port USB expander for PerfectCue. 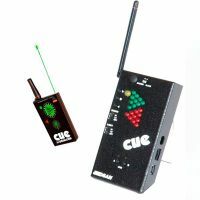 PC-AS4-Grn﻿ - 4 Button Wireless Remote Control with Green laser pointer.